Although temperatures are low and days are short, there's a lot to look forward to before spring arrives: Be More Chill's Great White Way debut promises to be one of the best Broadway shows for kids and cool exhibits such as "Tolkien: Maker of Middle Earth" will make indoor activities all the more enticing. Plus, there's plenty of cool events, workshops, Chinese New Year celebrations and movie premieres that you can't miss! Once you're done perusing our February events calendar for kids, be sure to book a fun weekend adventure! We're longing for spring—warm temperatures, blue skies and, of course, flowers. 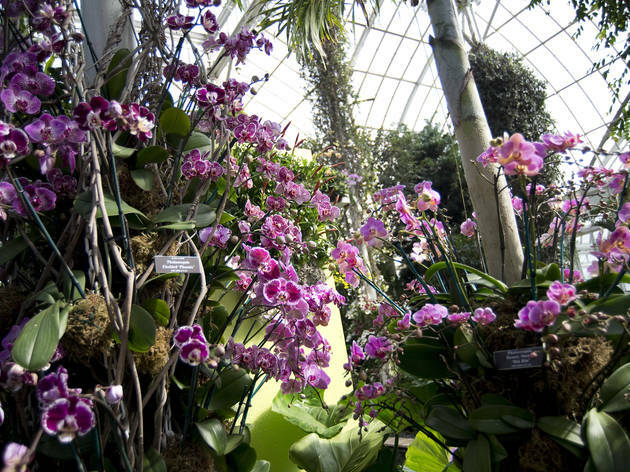 Fortunately, the New York Botanical Garden is here to deliver with its annual Orchid Show. Visitors can expect a taste of Singapore right here in NYC thanks to the 2019 theme. "Singapore" celebrates the Asian "City in a Garden," and we're certainly adding it to our list of things to do. Be sure to take a look at the festival's programming, which includes an insiders tour for budding botanists, orchid care demonstrations and q&a session. Mom and Dad, if you're calling the babysitter for a night off, you might want to consider enjoying an Orchid Evening ($38) complete with cocktails, music and naturally, the beautiful display. 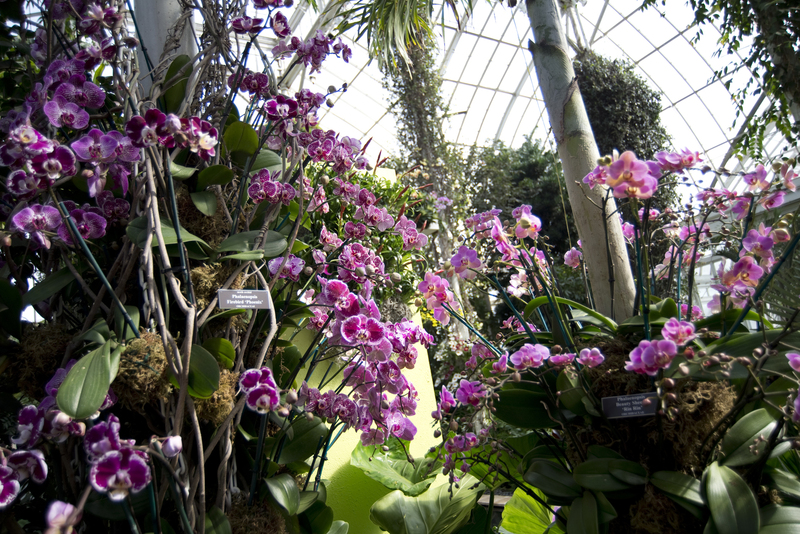 Learn more about "The Orchid Show: Singapore" here. All ages. Introduce your kids to the joys of jazz at the Jazz Standard's weekly Sunday brunch program. 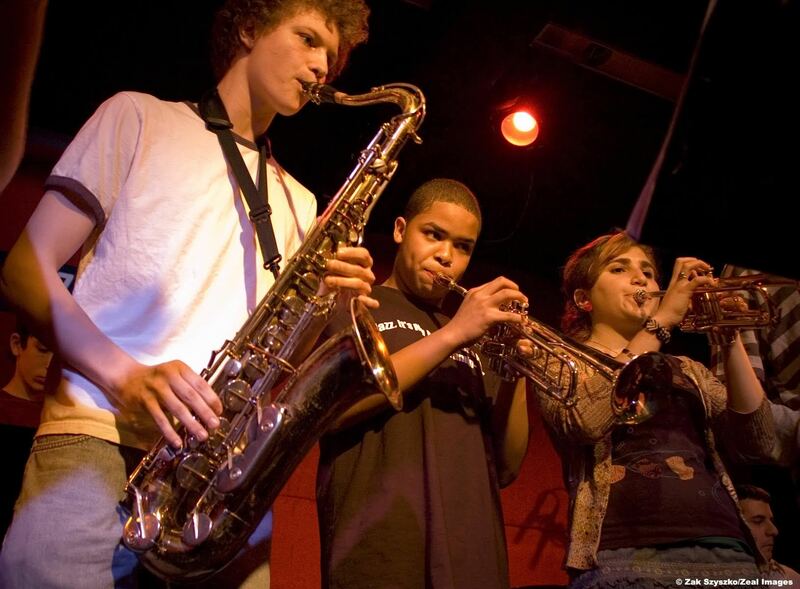 The Jazz Standard Youth Orchestra, made up of talented youngsters between the ages of 11 and 18, provides the music including big band classics like “Cherokee” and “Billie’s Bounce." While your family taps their toes, chow down on a barbecue brunch from Blue Smoke. Doors open at 1pm. All ages. 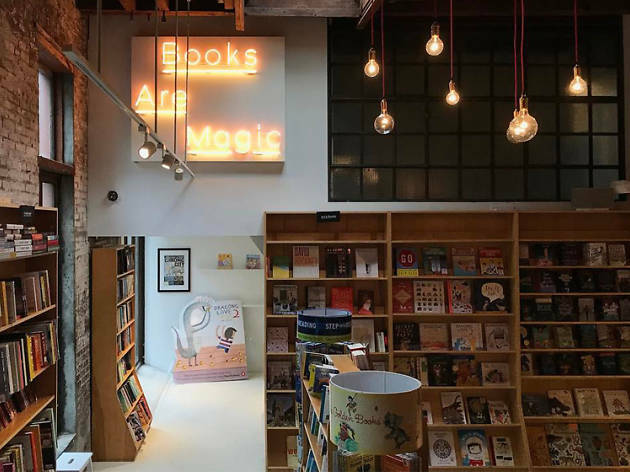 Each Saturday and Sunday, this enchanting independant kids bookstore in Cobble Hill hosts a story time. Authors read from their dazzling picture books, that can be incredibly funny, heart-warming, educational or all of the above. 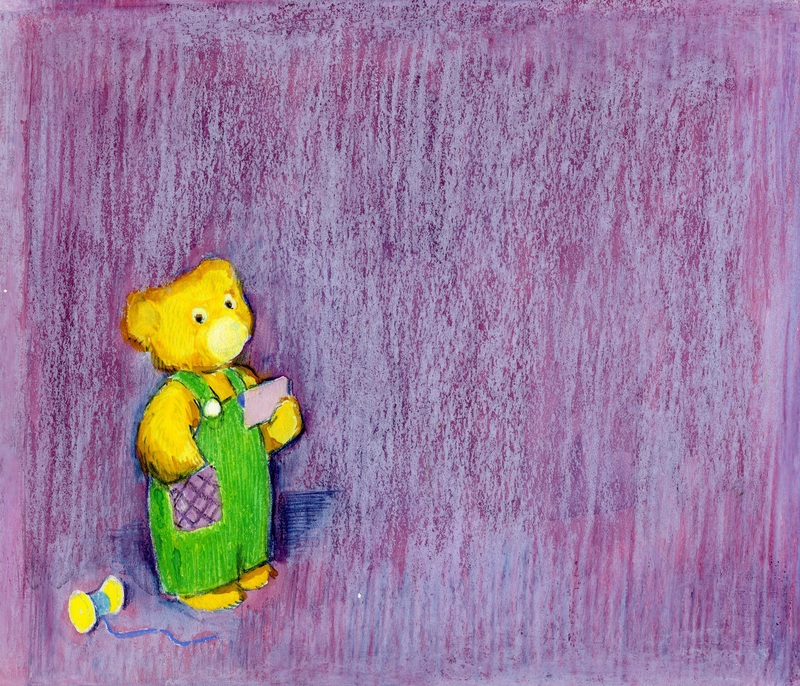 Be sure to check out all of the store's unique special events for children and young adult readers, too. Check out the lineup here. All ages. C'mon, feel the noise! 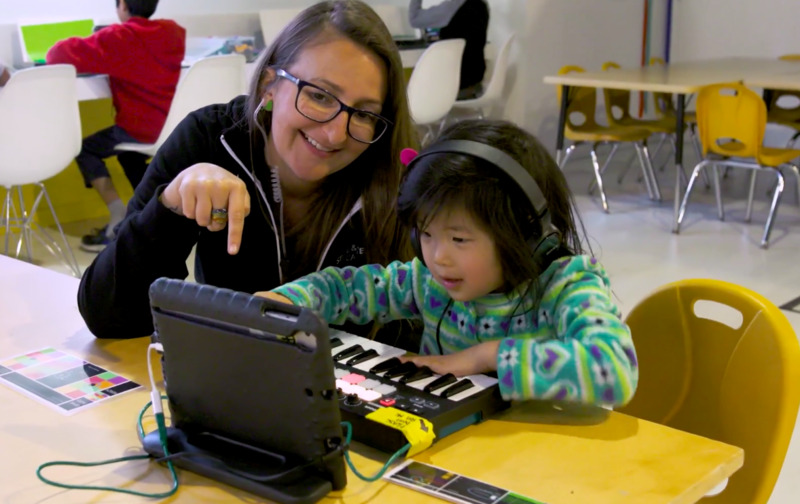 The Long Island Children's Museum will feature a new traveling exhibit, “Sonic Sensation,” which explores sound in our everyday lives. This interactive experience allows young visitors to learn more about pitch, make a movie soundtrack and let it all out in the scream chamber. There will also be a variety of complimentary educational offerings to coincide with the exhibit. Learn more here. All ages. They say it's best to start learning a second language as soon as you can. That's why El Museo del Barrio invites its tiniest of patrons to enjoy a monthly bilingual program which features storytelling sessions, gallery projects, crafts and other fun things to do. Each month features a new theme: Afrodances in February, Coquí Cumpleaños in March, A Carnaval of Colors in April and Colombia in May. Find out additional information about the program here. Ages 1–4. 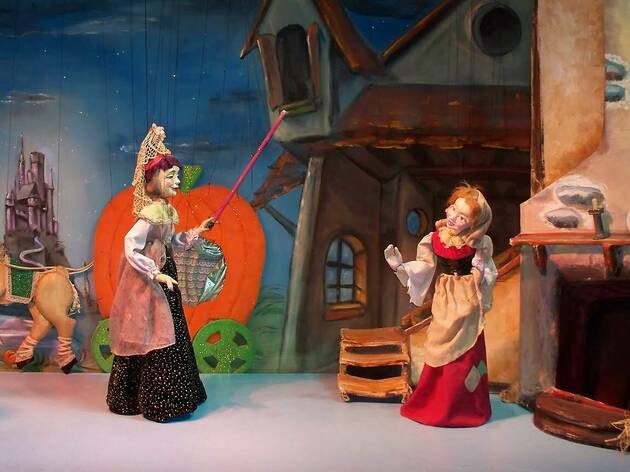 A classic fairy tale we all know and love is getting the marionette treatment at PuppetWorks. Watch Cinderella lose her glass slipper in artistic director Nicolas Coppola's adaptation of the Disney tale. 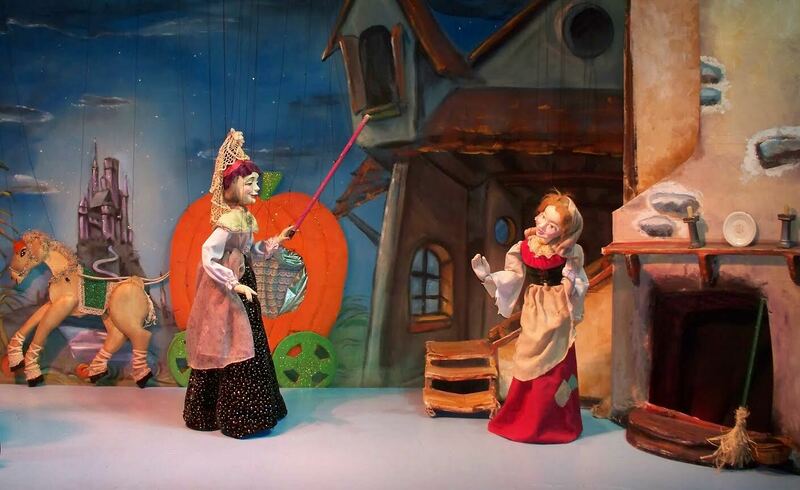 The wooden puppets will bring the scenery from 18th-century France to life as Jules Massenet's music echoes in the background. Reservations are recommended. Ages 3 and up. Play with infared cameras, fly a virtual jetpack, make robots move via gesture interface and so much more at "Bionic Me." 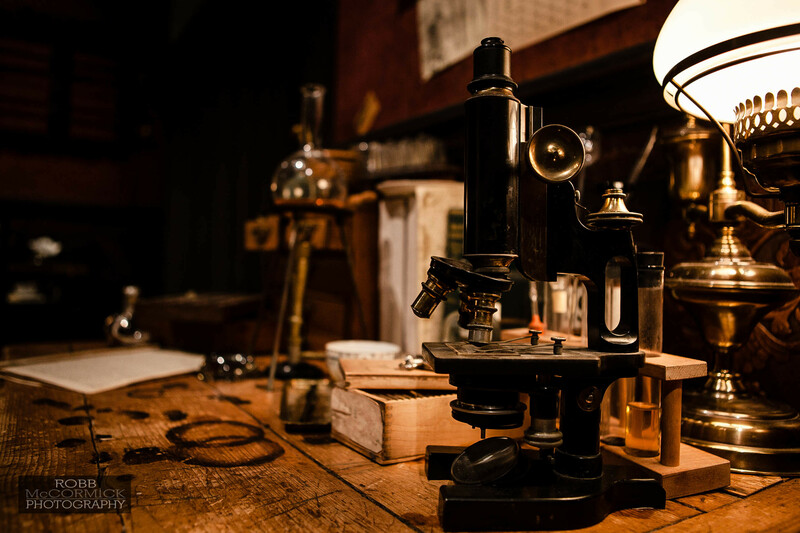 The new exhibit at the New York Hall of Science gives visitors a glimpse into medical and industrial advances that have enhanced things for us humans. Learn more here. All ages. The Guggenheim wants to inspire even the littlest of visitors. On the second Sunday of each month, families are welcome to peruse the galleries through a hands-on tour that culminates with interactive activities for tiny artists. Visit the museum's site to learn about each month's theme. Ages 5 and up. No school, no problem. 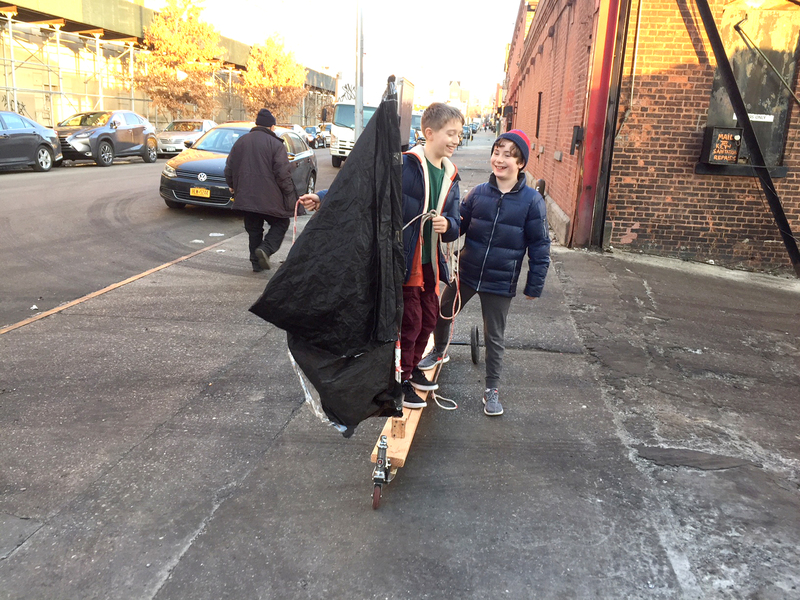 Steve & Kate's new pop-up program, BREAK, is designed to keep kiddos entertained at various points throughout the year when class is not in session. Pint-sized attendees will find a variety of summer camp offerings featured in BREAK, as well as exclusive activities. The fee for each child includes snacks, lunch and hours spent at the venue. For a list of NYC Steve & Kate's BREAK locations, click here. Ages 5–12. An other-worldly catastrophe ensues when LEGO DUPLO invaders threaten Bricksburg, and it's up to a few of our favorite characters to show 'em who's boss. Opens Feb 8. Rated PG. 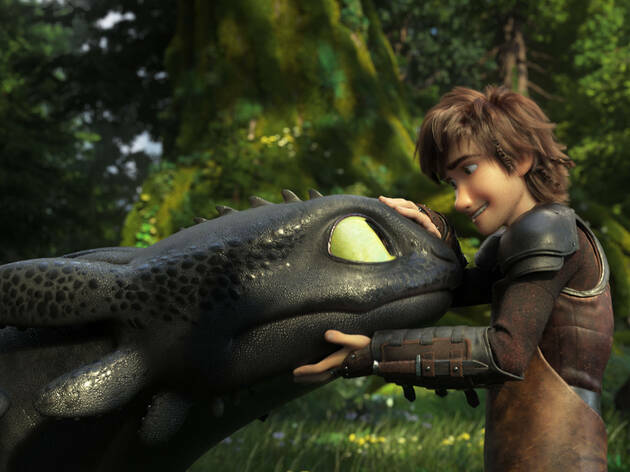 When a calm, peaceful existence for the dragons is jeopardized, rider and dragon must join forces to put an end to the mayhem. Opens Feb 22. Rated PG. For kids who never tire of building cool stuff, Koko NYC Inventor’s Lab after-school class lets kids learn about basic simple machines (inclined plane, wedge, lever, wheel and axle, screw and pulley), practice problem-solving techniques and even put their skills to work with their very own inventions. Ages 7–9. 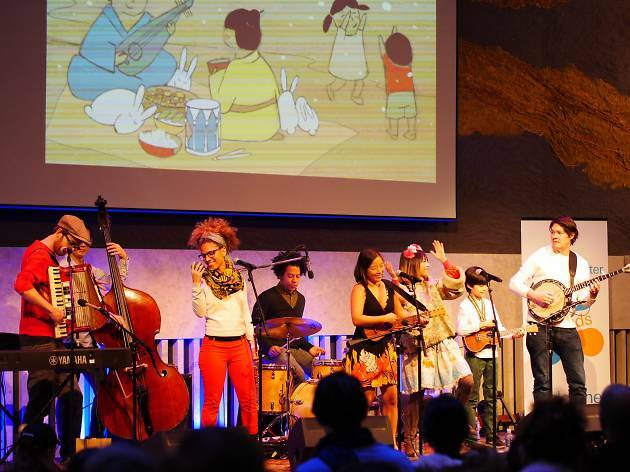 Every year Lincoln Center presents a phenomenal lineup of programming for kids of all ages. This years, wee ones (ages 0–18 months) can explore their surroundings with Rain, a sensory performance that includes touch and music, while slightly older babies (ages 6 months-36 months) can join a friendly environment for creative exploration with Pulsar. Highlights for big kids include Is this a Dagger? The Story of Macbeth (ages 8 and up), a retelling of the classic tale by a Scottish storyteller; You Me and the Space Between (ages 6 to 12), a performance about an inventive child that utilizes storytelling and choreography; Soundtrack '63 (ages 12 and up), a multimedia musical experience about music's relationship to social justice. 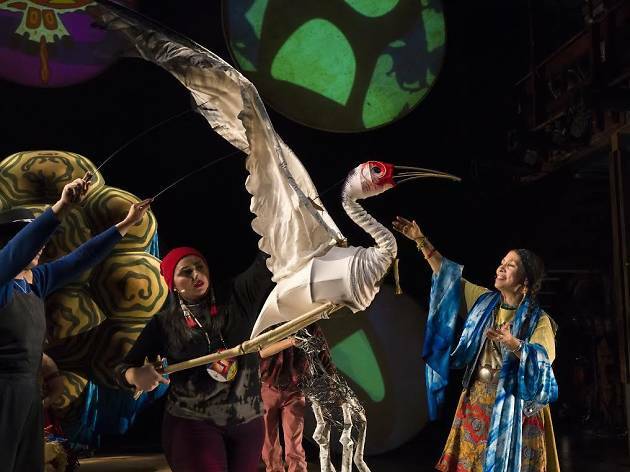 A number of shows offer relaxed performances for neurodiverse audiences. Visit here for more details. Think your kid has what it takes to crack the code? 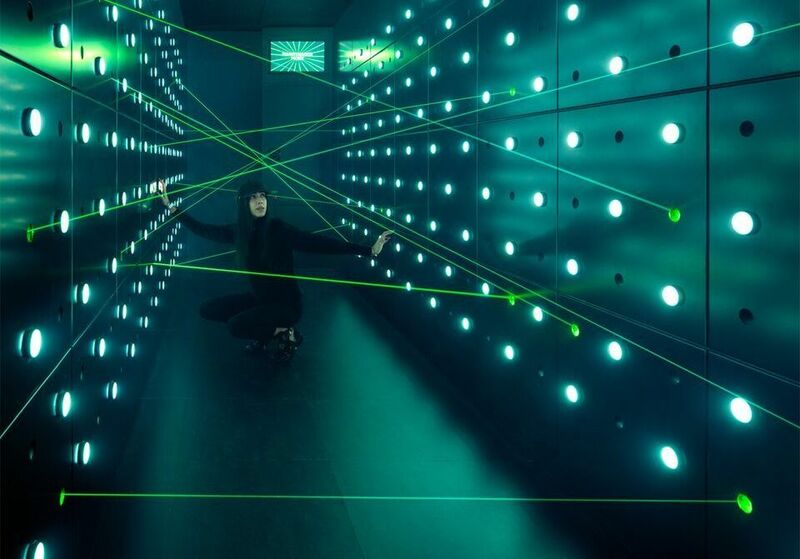 Thanks to SPYSCAPE's newly opened Spy School, you'll have a budding FBI agent on your hands. Students in middle school through college are invited to the afternoon program that allows them to make and break WWII codes in themed Encryption mission, detect lies in Deception booths and much more. “We’re thrilled by the success of SPYSCAPE in New York City, and delighted to be able to offer this experience for free to students,” Ian Oldaker, COO of SPYSCAPE New York said in a statement. 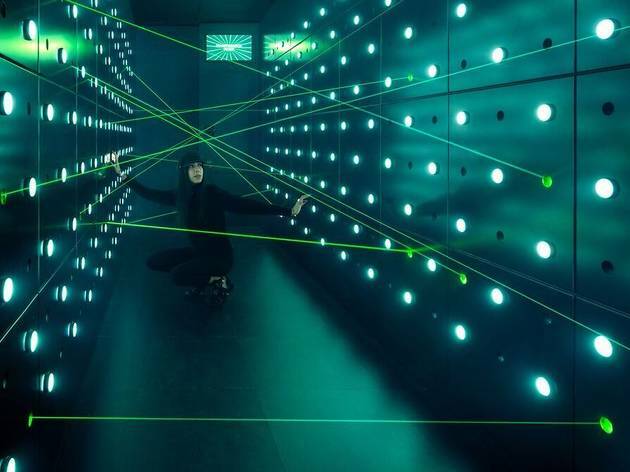 “We have had a lot of requests for this kind of program and we’re excited about creating new educational offerings as we continue to grow.” Spy School is free with a valid student ID, but attendees t must be accompanied by a paid ticket holder. We'll catch you there...or will we? Middle school–college. 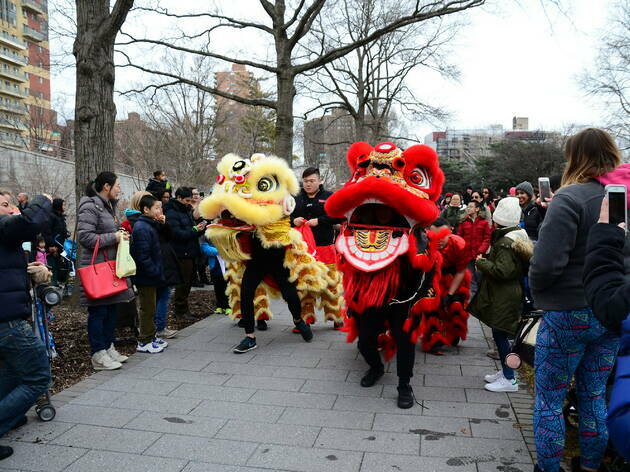 From Jan 21–Feb 10, family attractions across the five boroughs—including museums, tours, and performances—will participate in Must-See Week, which entitles New Yorkers to 2-for-1 tickets. Book yours ASAP! Get those lab coats ready! 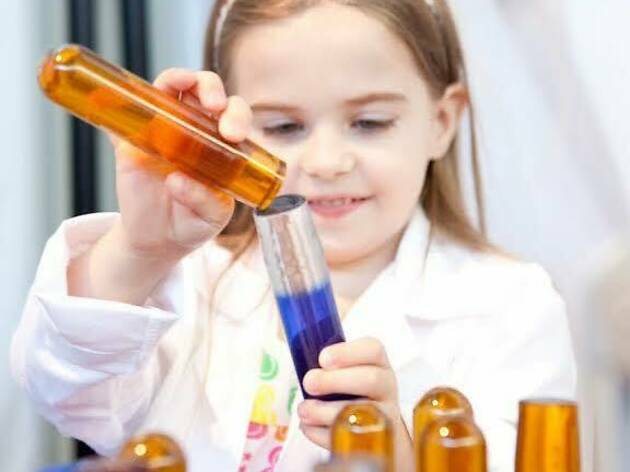 Little ones can take on the role of scientists in the latest traveling exhibit at Brooklyn Children's Museum. 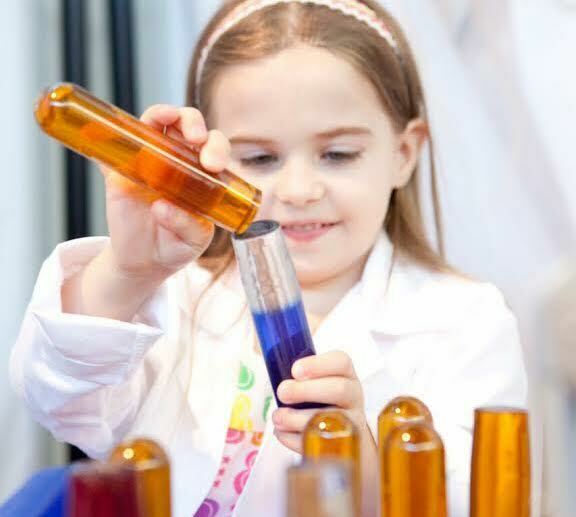 "Science + You" is an interactive opportunity for visitors to explore health and nutrition. In the 1,200 square-foot-space, kids will be able to explore their findings at the Magnification Area, learn about the five food groups in the Test Kitchen and more. All ages. We certainly hope you have your party hats—er, we mean mouse ears—ready. “Mickey: The True Original Exhibition” celebrates our favorite mouse during his 90th birthday—but the party won't last forever. The exhibition closes on Feb 10. New York City is going to be treated to a dose of color thanks to "DreamWorks Trolls the Experience." 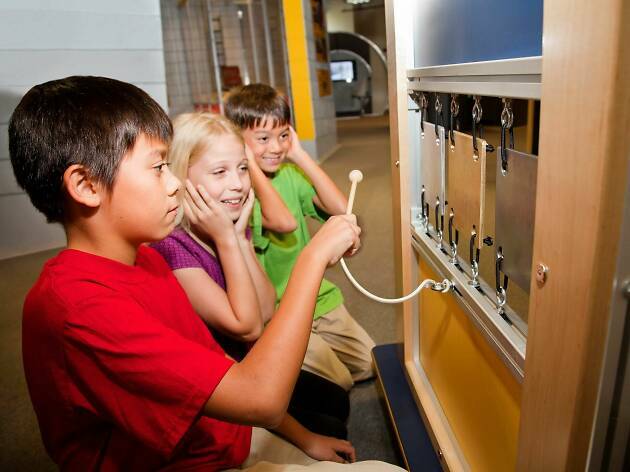 When little visitors enter the 90-minute walkthrough exhibit, they'll fall in love with a bunch of exciting features. 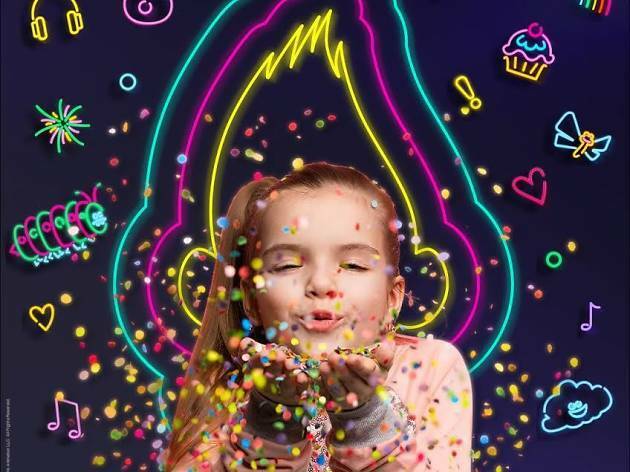 Poppy's Party Room will include augmented reality and 3D technology in the midst of musical fun. 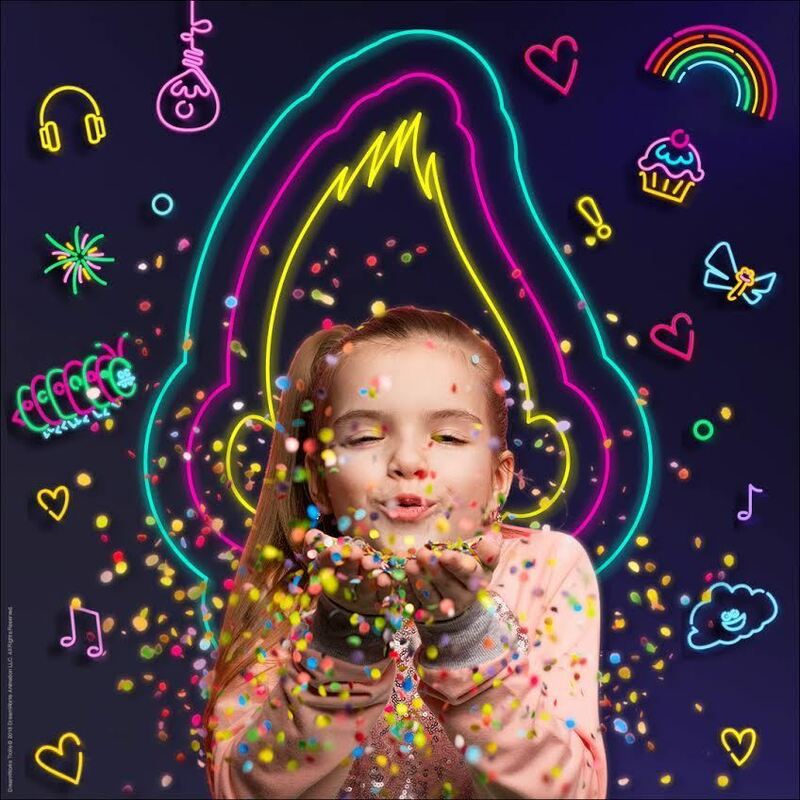 Before getting wrapped up in the hustle and bustle of Troll Village and playing in the life-size Caterbus, youngsters will want to hit the bright, imaginative Hair-We-Go Salon and Barbershop—which is sure to be an Instagram hit for moms and dads. The Museum of the City of New York will pay homage to Corduroy's creator, illustrator Don Freeman, with the new exhibit, “A City for Corduroy: Don Freeman’s New York.” Expect a glimpse into the creative process of the 1968 story, as well as other popular work from the creator, including drawings, paintings and original sketches. All ages. Batter up! 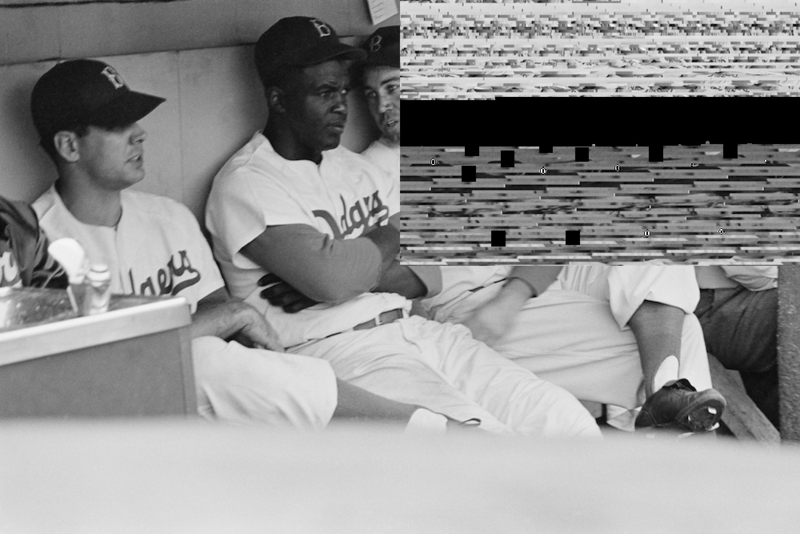 NYC will mark the centennial of Jackie Robinson’s birth with a grand-slam exhibit. The collection of never-before-seen images, Look magazine spreads and personal memorabilia such as home movies will provide a glimpse into the life of the Brooklyn Dodgers MVP, all while exploring the media’s portrayal of the iconic figure. All ages. 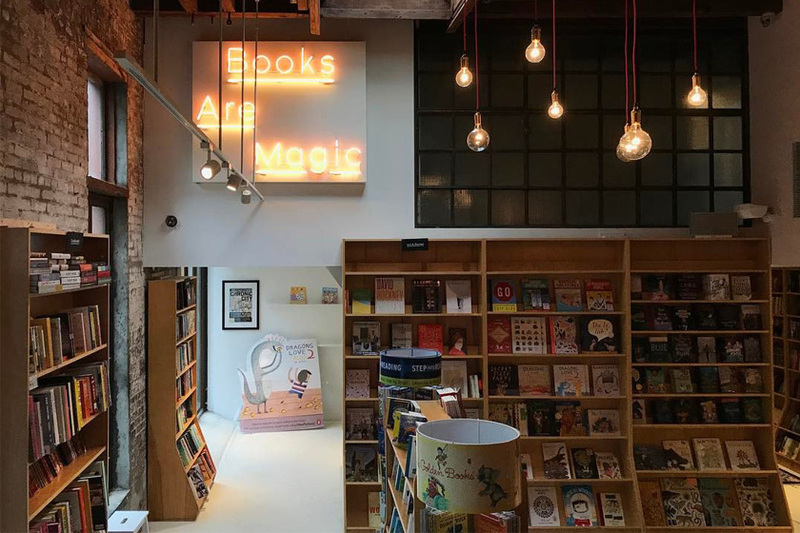 There’s no arguing that books are an artform—especially when visiting the Children Museum of the Arts’ eccentric exhibit. 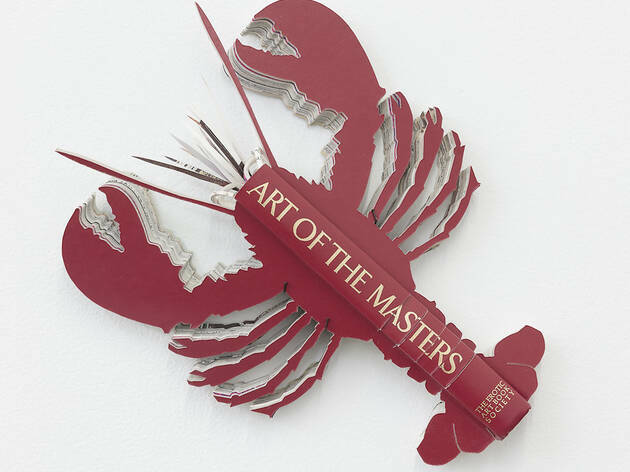 In “A Way with Words,” books are transformed into sculptures, paintings and other works to emphasize their importance and history. 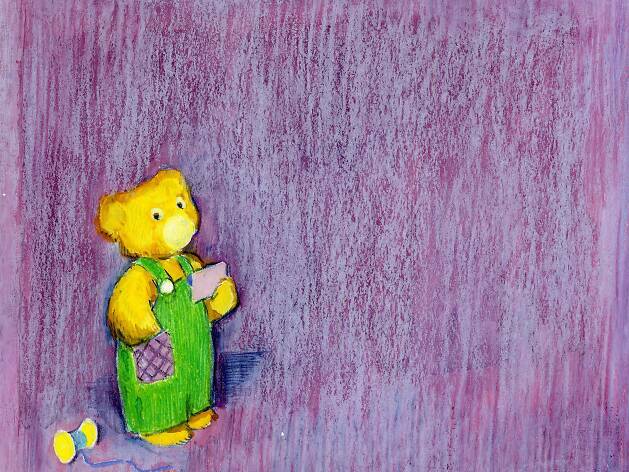 Museum staff guide young bibliophiles through a craft inspired by the pieces on display. All ages. 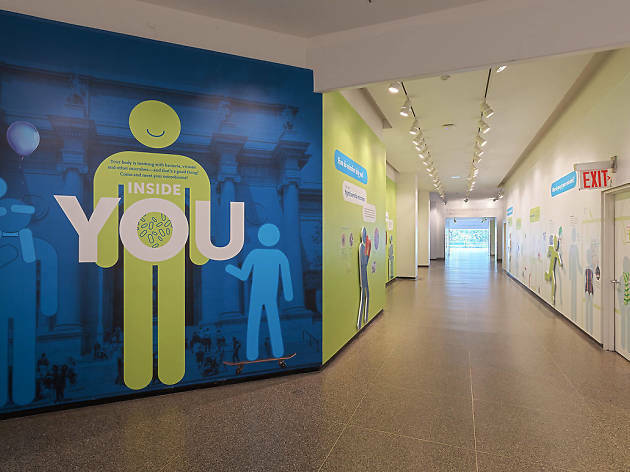 The American Museum of Natural History’s exhibit explores the microbes, viruses, fungi and other organisms that live inside our bodies. 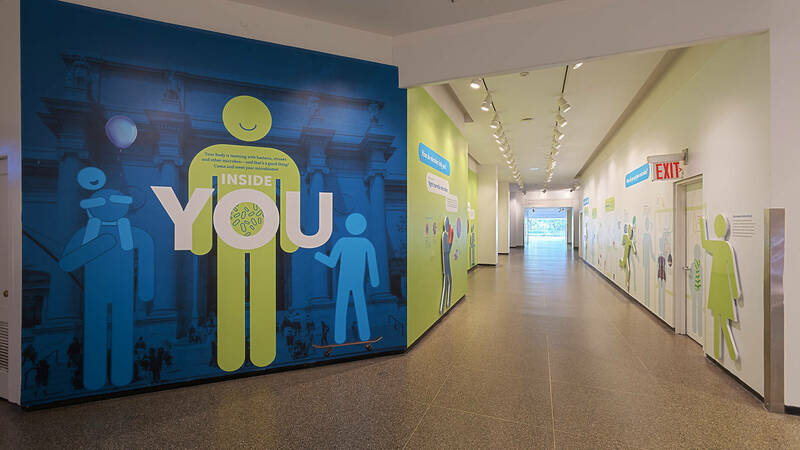 According to the exhibit, our gastrointestinal tract is home to about 100 trillion bacteria and they can be affected by where we live, what we eat and what we touch among other factors. Learn about all about microbial genes and the important work they do to keep us alive. All ages. If you have trouble packing your suitcase before a trip, wait until you find out what astronauts have to bring when they head to outer space! 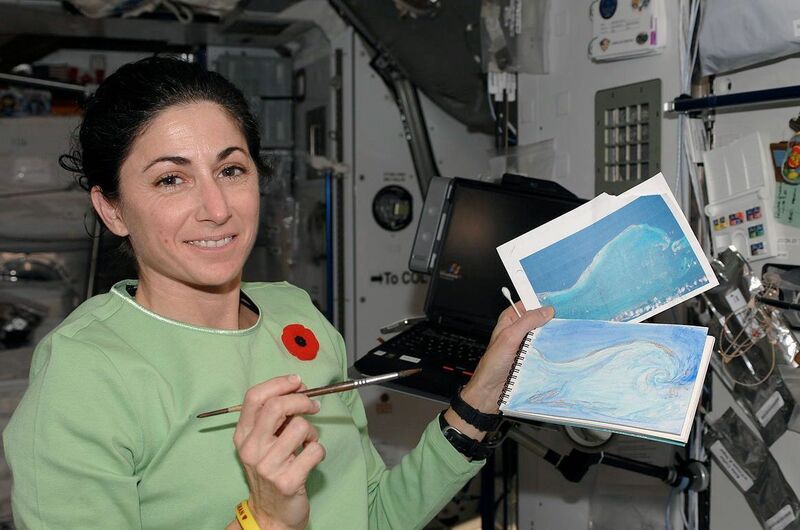 During this year’s annual Space & Science Festival, the Intrepid Sea, Air & Space Museum will host an exhibit, "Personal Space," dedicated to all of the personal items that astronauts bring along for the trip. 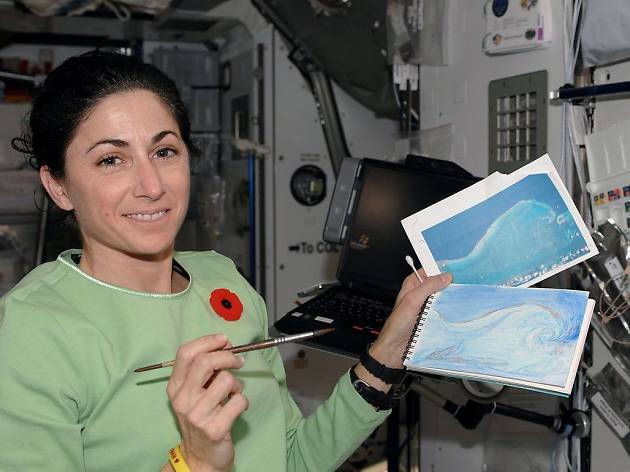 Astronauts who will be featured in this exhibit include Mike Massimino, Dr. Ellen Baker and more. All ages. Do you have your magnifying glass ready? You'll need it! 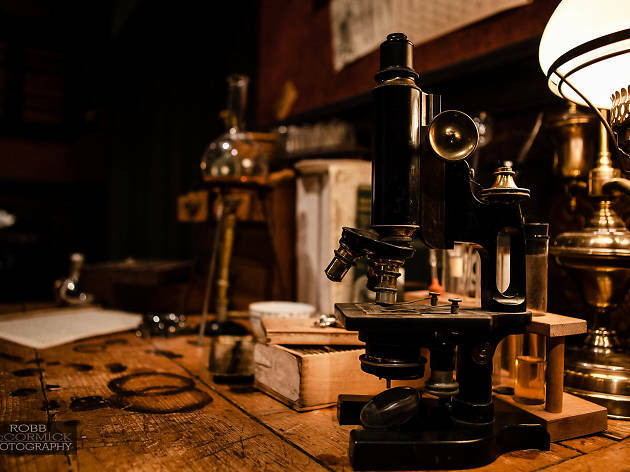 Liberty Science Center is taking a step back in time with its latest exhibit, “The International Exhibition of Sherlock Holmes," which allows visitors to explore science and technological advances from the late 1800s, decipher the inner workings of forensic specialists today and go through clues to uncover an exclusive mystery! All ages. 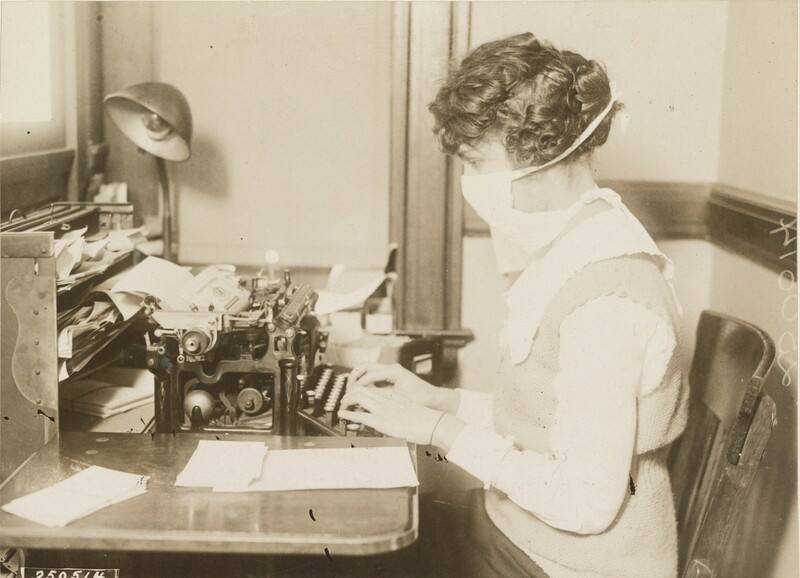 If your kids won't cover their mouths when sneezing or refuse tissues, maybe "Germ City: Microbes and the Metropolis" will help them change their ways. MCNY's new exhibit will focus on the clash between NYC and disease and how it has shaped us in a variety of ways, from culturally to physically. Pieces include "Blood Mirror," Jordan Eagles' offering that's comprised of human blood, a 20th-century smallpox quarantine poster and New York City Health Department diphtheria pamphlet, among many other others. Don't forget to register for the Community Care Fair, a family event on Nov 18 from 11am–3pm, that will let visitors explore ways we care for one another by taking a look at paraphernalia, stories and more. All ages. 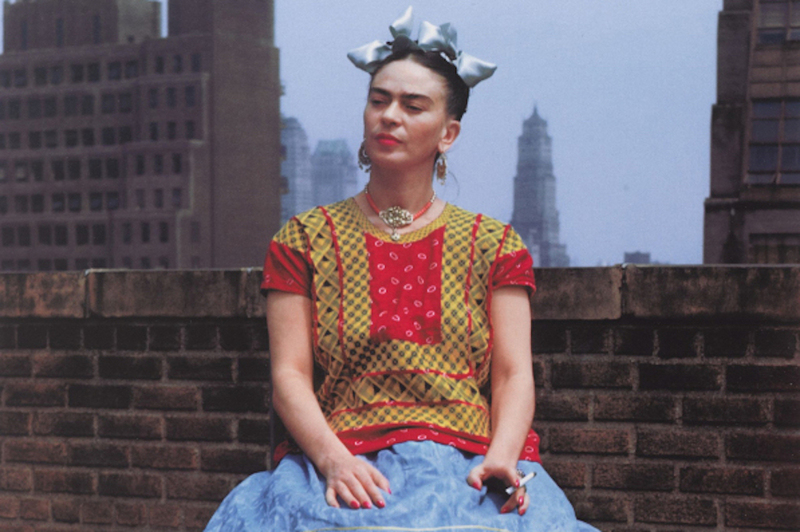 "Frida Kahlo: Appearances Can Be Deceiving"
NYC can't seem to get enough of Frida Kahlo. 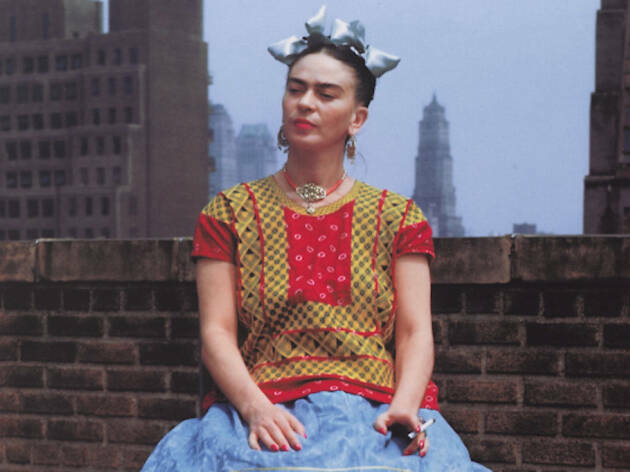 After the success of the New York Botanical Garden's 2015 exhibition on the artist, the Brooklyn Museum will explore her life and work in "Frida Kahlo: Appearances Can Be Deceiving." Patrons will be able to take a glance at paintings, drawings, photographs and other items, including clothing and cosmetics. This will be the first time that Kahlo's personal objects from the Blue House in Mexico City will be on display. All ages. Bookworms will not want to miss The Morgan Library’s tribute to J.R.R. Tolkien. Those who visit this new exhibit will be able to get a first-hand look at the author’s original drawings, manuscripts, family memorabilia and artifacts that depict how his fantasy world came to be. All ages. "History Hunters: A Kid's Life"
Do you remember when schools offered penmanship classes and lunches were three cents? Probably not, so head to The Museum at Eldridge Street, which will take a step back in time with "History Hunters." The experimental program will explore what students experienced way back when—over 100 years ago, to be exact. Here's what's on the schedule: "A Kid’s Life at Synagogue," Sunday, Feb10 "A Kid’s Life at Work," Sunday, April 7 "A Kid’s Life at Home," Sunday, June 2 Learn more here. Ages 5–11. It isn't always smooth sailing in high school, but what if you had the power to change those cringe-worthy moments? Jeremy takes the chance in Be More Chill...with some less-than-satisfying results. Ned Vizzini’s YA bestseller (which had a previous Off-Broadway run) will graduate to the Great White Way and dazzle audiences with upbeat music, neon-colored sets and feel-good moments. Get ready for a coming-of-age tale with an epic sci-fi flair. Ages 12 and up. 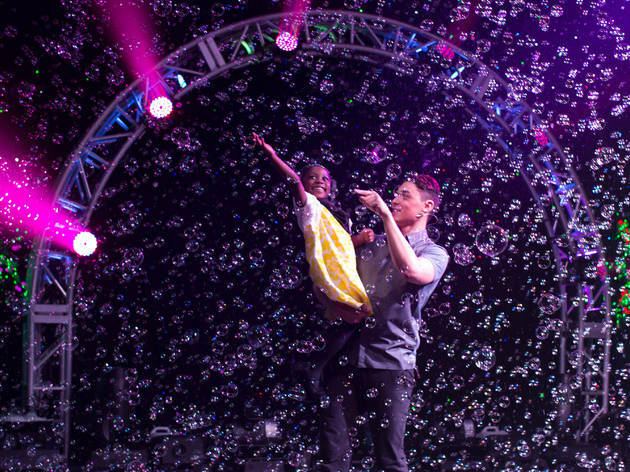 Husband and wife duo Fan and Ana Yang have traveled world-wide to dazzle their audiences with their self-titled masterpiece, "bubble artistry." As lights flicker and music plays, prepare to catch some of the wonkiest looking bubbles you've ever encountered. 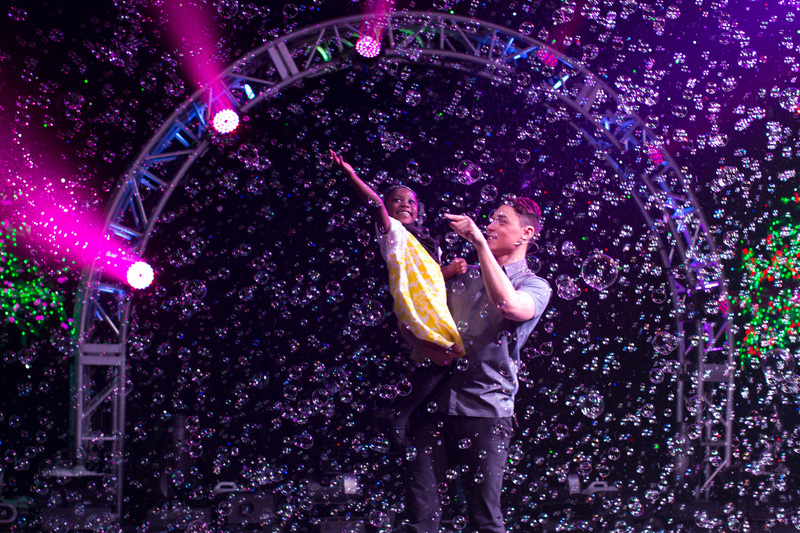 Kids and parents alike will love how these soapy spectacles create a can't-miss experience. Ages 5 and up. 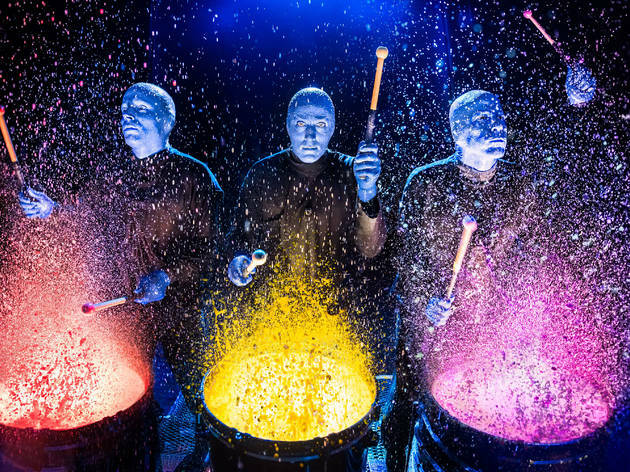 A sea of toilet paper, neon paint splashes and three blue men have kept audiences laughing and amazed in this long-running Off-Broadway hit. Stand by as these other-worldly fellows learn about the environment around them...and make a bit of noise in the process (largely thanks to the large tubs of paint). You'll laugh, you'll catch one of the group members in the audience and you'll love the wonky happenings throughout the performance. If you catch a show in the first row, wear the poncho—chances are you're going to get splattered with something! Ages 5 and up. 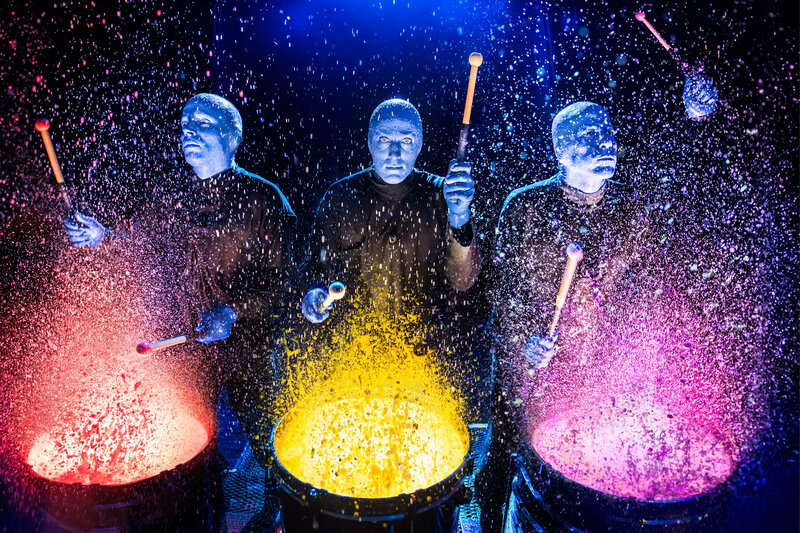 Stomp takes percussion to a whole new level. A small cast of characters makes use of atypical objects—wooden polls, push brooms—to create a unique musical experience. 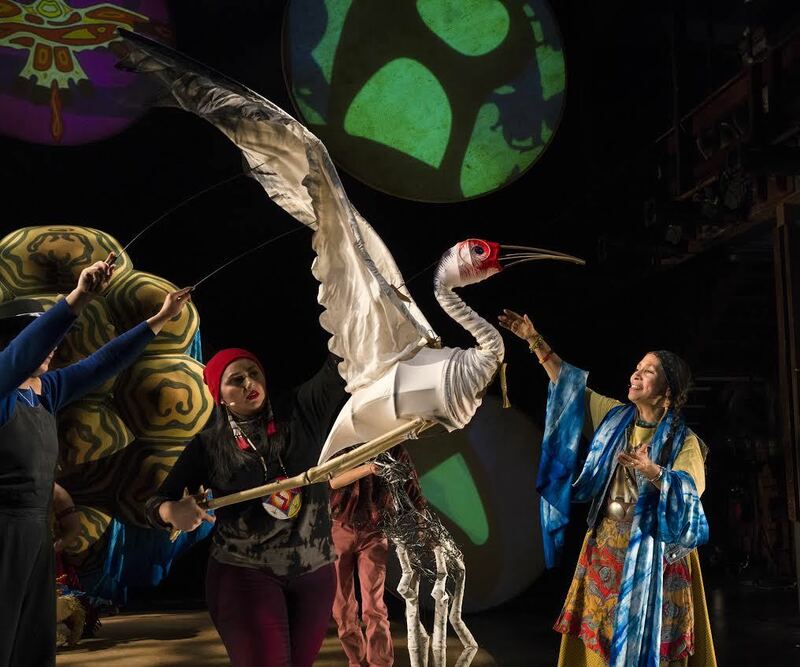 A catchy rhythm, impressive dance moves and laugh-out-loud moments prove why this Off-Broadway show is such a crowd pleaser, even if there isn't any dialogue. 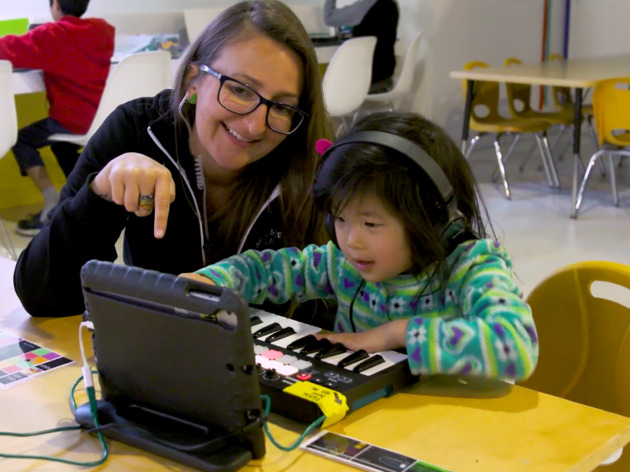 Your kiddos might be inspired to take household items and start a jam session of their own! Ages 4 and up.